TheBloomOutlet.com | No matter what flowers you order, you will never go wrong to include the Baby Breath flowers in the bouquet. Do you familiar already with these little and beautiful flowers? These beautiful tiny flowers are called Baby’s Breath and are usually used to complete flower arrangement in almost every bouquet you would find. Where we imagine any other flower as the bread, the Baby Breath flower is the butter—thus what makes a flower arrangement complete; bread doesn’t taste too good without some butter in it, right? Even so, the Baby Breath flower also actually perfect to be the main flower in the bouquet or any design and decoration because they are just beautiful, especially the Baby Breath. 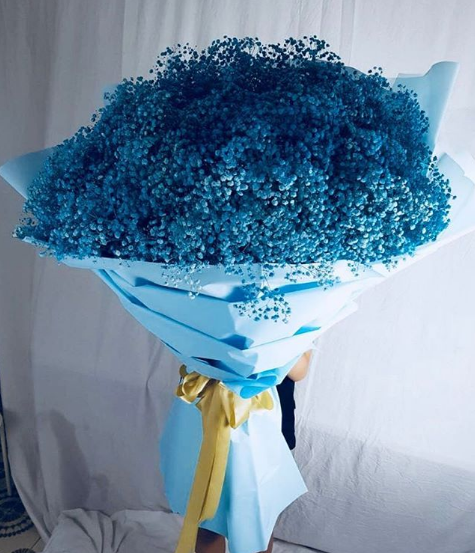 In Singapore, where flowers are so popular, and florist are everywhere, it is better for you to look for the best Flower Delivery Singapore who can really provide you with the best flowers like Baby Breath. You can use the Baby Breath for just any occasion in just anytime. After all, you can simply give a bouquet of Baby Breath Singapore as a surprise on any day you like. Order the Baby Breath flower here and make your loved one smile!